Ok. I love Christmas... especially in Germany. When I showed up to Sarah's house it was like a Christmasy winter wonderland in there. AND IT WAS AWESOME! I knew prior to her session that she also had two dogs, but I wasn't prepared for how cute her pups were - especially the little one who prefers to sit up like a human. 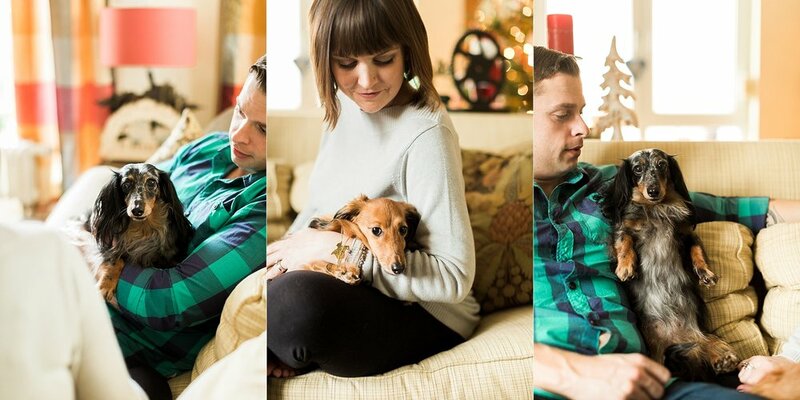 What could be better than a session full of Christmas, baby bumps, and dogs? Nothing I say! Anyway, here's a little sneak peak of this awesome couple's in-home maternity session.